What are the goals of OpenZika and how are these goals being met? The main goal of the OpenZika project is to identify promising drug candidates to treat a Zika virus infection. In order to help scientists reach this goal, World Community Grid volunteers are donating their unused computing power to conduct virtual experiments, called “docking calculations.” Based on the results of the docking calculations, the researchers will be able to predict which drug candidates are most likely to show promising results in laboratory tests. How might the data generated on this project be useful to Zika researchers? World Community Grid volunteers’ computers and Android devices will complete virtual screenings of chemical compounds that may be effective against the Zika virus. These virtual screenings will generate data about the potential effectiveness of chemical compounds that could be used as antiviral medicines. Once the virtual screenings are complete, researchers will use the data to test promising compounds in laboratories. In compliance with World Community Grid policy, the researchers will make their data openly accessible, thereby allowing other scientists to apply their own methods and approaches to further study promising compounds. The open data component of this project (and all other World Community Grid projects) means that the likelihood of finding effective drug treatments for Zika may be higher than if the researchers worked in isolation. The Zika virus (ZIKV) is a flavivirus (a family of mosquito-borne viruses), which is similar to dengue virus, yellow fever and West Nile virus. The virus has been found to be transmitted by bites from infected Aedes mosquitoes, from mother to fetus, through blood transfusion, urine, saliva, and sexual transmission. 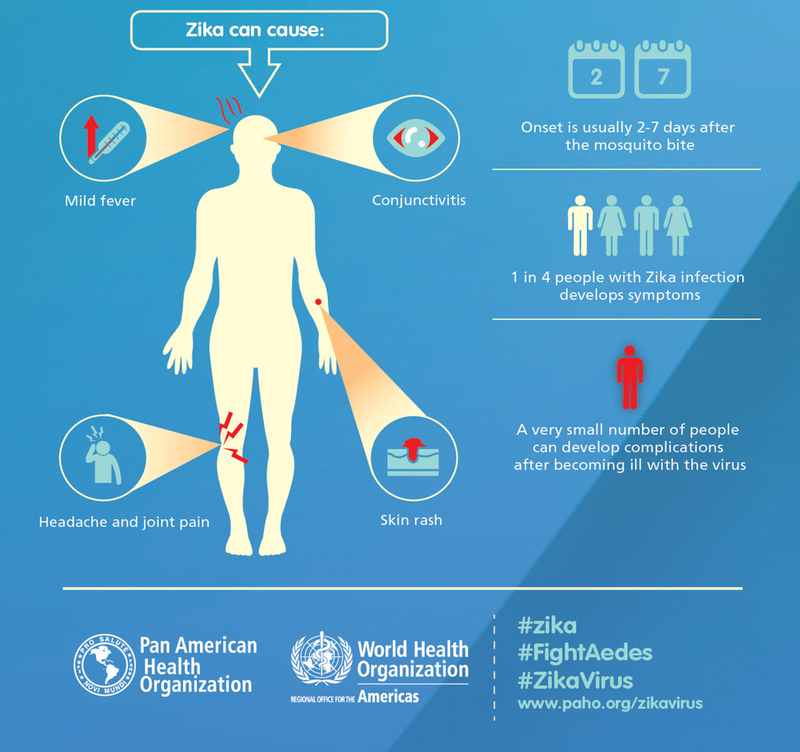 Zika usually only causes relatively mild symptoms such as fever, joint pains, rash, conjunctivitis (red eyes), headache and/or swollen lymph nodes. However, Zika has been recently associated with serious neurological conditions, such as Guillain-Barré syndrome, in adults and children. Additionally, scientists have linked cases of severe brain under-development in some fetuses and infants to mothers being infected with Zika during pregnancy. Why is Zika a major global health problem? Zika virus is a global health issue because it spreads rapidly and is related to severe neurological diseases (in adults and children) such as microcephaly, Guillain-Barré syndrome, acute myelitis, and meningoencephalitis. While the Zika virus itself was first identified in the late 1940s, the connection to widespread neurological issues is relatively new because the disease is spreading rapidly to populations that do not have immunity to it. In February 2016, the World Health Organization (WHO) Director-General declared that the cluster of microcephaly cases and other neurological disorders reported in Brazil constitutes a Public Health Emergency of International Concern. There is currently no effective antiviral medication for Zika virus, and no vaccine. Therefore, the disease can continue to spread rapidly if left unchecked. Which geographic areas and populations are most impacted by Zika? Since it was first identified in the Zika forest of Uganda, Africa, the Zika virus has spread across Asia, the Pacific, and more recently to the Americas. Serious concerns about the virus have been raised since 2015, due to a rapid rise in infections in the Americas coinciding with an increase in cases of microcephaly and other neurological disorders. Between 2007 and April 2016, 62 countries reported cases of the Zika virus. Most of these cases occurred in the Americas (Central, North and South), Oceania, Pacific Islands, and Africa. 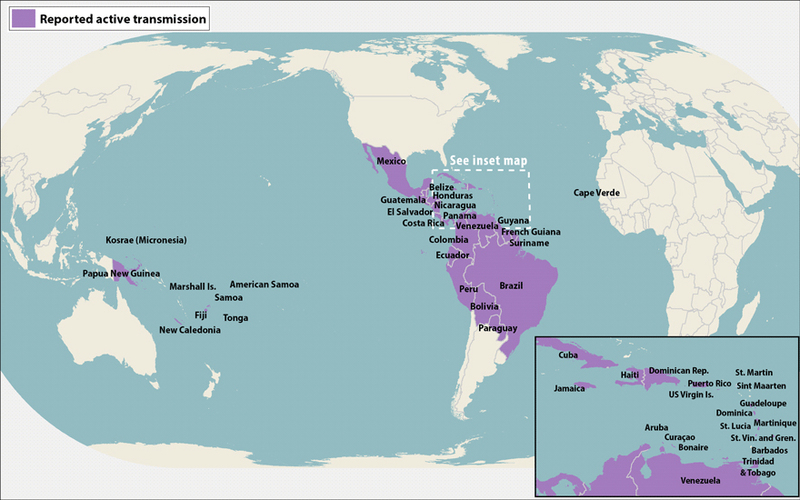 Any areas with active Aedes mosquito populations—particularly tropical and subtropical regions—are vulnerable to the introduction and spread of the Zika virus. Recent estimates from an international group of university researchers suggest that more than two billion people could be potentially at risk. What are the broader community/public health impacts of Zika? Without a vaccine or effective antiviral treatments, the Zika virus could continue to spread rapidly. And until scientists have more information about the links between the Zika virus and potential neurological complications, it will be difficult to know the full impact of the virus. In Brazil alone, the Zika virus has affected millions of people. This caused drops in productivity, and an increased need for healthcare (especially for patients with complications and for infants born with microcephaly). Additionally, people are less likely to travel to countries with high rates of Zika virus infections, which impacts local economies. Potentially, Zika outbreaks could destabilize governments and increase pressure on healthcare systems. What measures are being taken in countries where Zika has spread or could potentially spread? What can individuals do to protect themselves from the Zika virus? Because there is no treatment and no vaccine for the Zika virus, prevention and containment efforts are largely focused on controlling the mosquito population. However, many mosquitoes have become increasingly resistant to insecticides, and the mosquitoes that harbor the Zika virus tend to hide inside homes, which makes eradication difficult. Some countries with large populations of Aedes mosquitoes have advised women to avoid pregnancy until the Zika outbreak subsides. 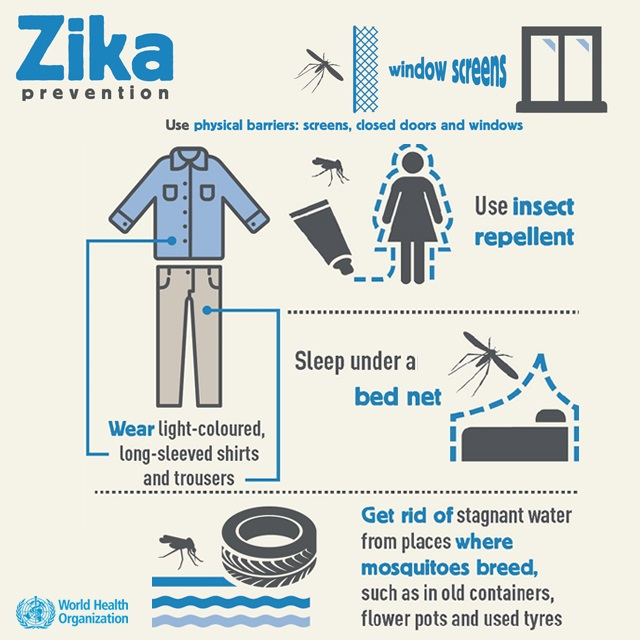 Individuals who want to minimize their risk can take actions to avoid mosquito bites, such as wearing long-sleeved shirts and long pants, and staying in places with air conditioning and window/door screens to keep mosquitoes outside. You should refer to government guidelines in your country for the latest advice. What are the Areas with active Zika virus transmission? Americas (Central, North and South), Oceania, Pacific Islands, and Africa. How can I help stop Zika? You can help stop this virus by joining World Community Grid and contributing to the OpenZika project. When you join, you donate your computer or Android device’s unused computing power to run virtual experiments to help researchers identify promising candidates for anti-viral drugs to combat Zika. What kind of mosquitoes transmit Zika? The Aedes aegypti mosquito is known to transmit the Zika virus, and researchers believe the Aedes albopictus mosquito may also spread the virus. 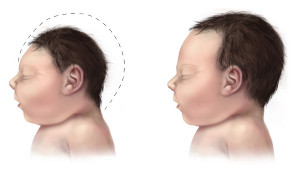 What is microcephaly? How is it linked to the Zika virus? Microcephaly is a condition in which a child’s brain fails to develop properly in the womb, often leading to diminished brain size, impaired cognitive ability, motor control problems, seizures and related symptoms. The condition has been found in some infants whose mothers were infected with the Zika virus during pregnancy. In April 2016, a link between the Zika virus and microcephaly was confirmed by the Center for Disease Control. What are other potential complications that might be linked to the Zika virus? Why should pregnant women be concerned? Pregnant women infected with the Zika virus can transmit the virus to the fetus. Additionally, infants of women who are infected with Zika during pregnancy have a higher risk than normal of microcephaly, which is a condition where the brain does not develop properly in the womb. A link between a Zika infection during pregnancy and microcephaly was confirmed in April 2016. Due to this risk, some countries have advised women to delay pregnancy until the Zika outbreak is over. The flavivirus genus, which includes Zika, dengue, yellow fever, West Nile viruses and others – are viruses which are transmitted to humans by a mosquito or tick bite. The Zika virus is transmitted primarily by two kinds of mosquitos: the yellow fever mosquito (Aedes aegypti) and the Asian tiger mosquito (Aedes albopictus). Can work on related diseases help fight Zika? Closely related viruses may give clues that could help researchers fight Zika. Though Zika may look like dengue, subtle changes on the virus surface could impact how antivirals or even vaccines may work. The mechanism for these viruses getting into cells and their effects can vary dramatically. The original description of the virus was published in 1952, although it was originally isolated in 1947 in Uganda, Africa. It was subsequently isolated from mosquitos in 1948 and from humans in 1952. Zika is a re-emerging, mosquito-transmitted virus that was relatively unknown until 2007 when it caused a major epidemic on Yap Island in Micronesia, followed by outbreaks in Oceania in 2013-2014. Following its introduction into Brazil in 2015, the virus has spread rapidly across the Americas. The symptoms of Zika are usually relatively mild, including fever, joint pains, rash, conjunctivitis (red eyes), headache, and/or swollen lymph nodes. Zika virus can be diagnosed by performing specific blood serum tests during the first week after onset of symptoms. Additional antibody testing can be performed to confirm an initial diagnosis. Are there any existing treatments for the Zika virus? There are currently no treatments for the Zika virus, and there is no vaccine. Because the disease’s symptoms are usually mild, it has not been widely researched until the most recent outbreak began in the Americas, and therefore scientists are just beginning to understand the molecular structure of the disease. Because the Zika virus usually only has mild symptoms, and because it was not widespread until recently, there has been little research on a vaccine until the outbreak in Brazil began in 2015. Currently, there are several groups researching vaccines in India, Brazil and the United States, but no vaccine has been approved as of May 2016. What is the difference between a vaccine and an antiviral drug? A vaccine is administered before a person becomes infected. Vaccination usually consists of one or several shots which stimulate the immune system to protect against the virus. Antiviral drugs are used when a patient is infected with the virus. These drugs must be taken by an infected patient multiple times, until the virus is destroyed. Are there other research efforts to fight Zika? There are other efforts to fight the Zika virus throughout the world, most involving research into the atomic structure of the virus itself, and work on potential vaccines based on viruses that are thought to be similar in structure to Zika. Organizations such as the World Health Organization, the Ministry of Health in Brazil, the Oswaldo Cruz Foundation (Fiocruz), and the Centers for Disease Control are heavily involved in publicizing and supporting these efforts, and in encouraging researchers to share their data. Limited funding makes many research efforts difficult. How is this project different from other research efforts? The OpenZika project is searching for potential antiviral drugs to combat the virus, whereas many other projects are looking for a vaccine or studying the structure of the Zika virus itself. The exact, atomic scale structures of most of the proteins that play a key role in the Zika virus lifecycle have yet to be determined (by experiments called “X-ray crystallography”). Until then, scientists will use approximate structures derived from a process called “homology modeling.” This involves using the genetic information for the Zika proteins and looking for very similar target proteins from other organisms, such as the dengue virus, for which some of the protein structures are known at atomic detail. These known structures (called “templates”) are then used as the basis to develop models of the targets that likely resemble the Zika proteins. As scientists learn more about the structure of the Zika virus, they will be able to focus on the target proteins that are most crucial to finding antiviral drugs. What efforts are there to control the mosquitos that transmit Zika? Countries in South America and Central America have launched plans to contain and eliminate mosquitos through widespread use of insecticides, mosquito traps, bedding nets, window screens, and other measures. In the United States, similar measures are being planned under the direction of the Centers for Disease Control. These measures are helpful, but can be limited by the fact that Aedes mosquitoes tend to hide in homes, and are becoming increasingly resistant to many insecticides. Where can I learn more about Zika?